Water Voles inspired the cuddly character ‘Ratty’ in the children’s book ‘The Wind in the Willows’ and our European water voles are particularly unique, being the only water vole that are actually dependant on living near water. Sadly the water vole is Britain’s fastest declining mammal. Threatened by habitat decline, change of land use and predation by invasive species. Through Saltscape, 16 individuals have now been trained on water vole ecology and habitat surveys. This skill will prove extremely useful as more and more volunteers are required across the country to identify potential habitats, suggest habitat improvements and monitor population sizes. As part of the training and monitoring that took place along the River Weaver, re-profiling of river banks have been undertaken connecting two existing water vole habitats. 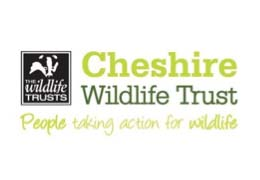 Continued monitoring will be carried out and you can keep up with this and other volunteering opportunities on Cheshire Wildlife Trusts website.